A little bit of knitting today, since I finished this cute little cardigan a few days ago. It is for a baby due at the end of February, so for once I’m on time! 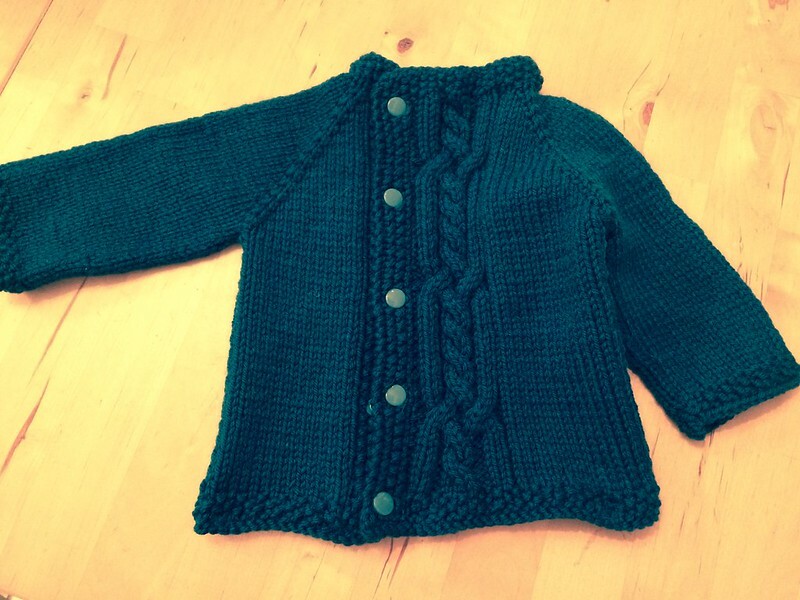 The pattern is Olive You Too by Taiga Hilliard, it’s a free pattern on Ravelry and it goes from 0-3 mo to 12-18 mo. Obviously I made the smaller size and used the rest of the Cascade 220 I had used for a blanket knitted last year for my nephew (unblogged of course, sigh). 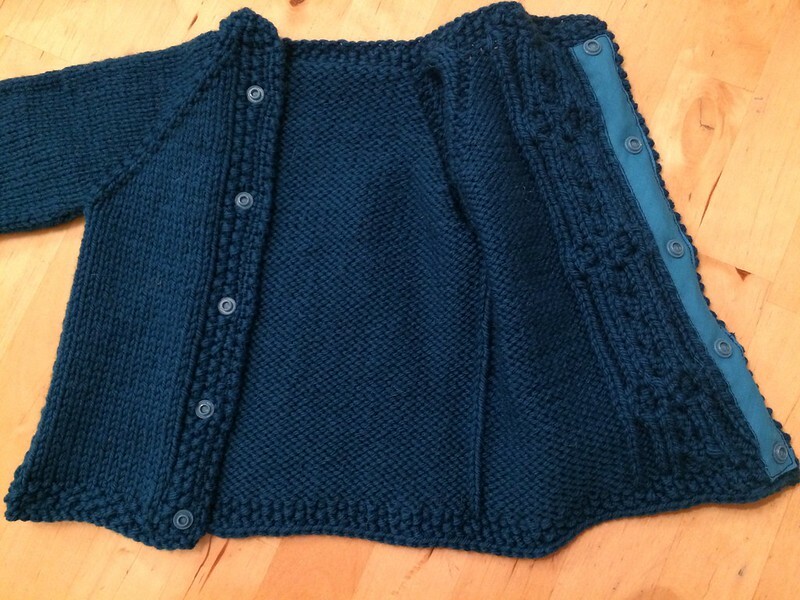 It is a very quick knit if you don’t forget to account for the 2nd sleeve… It’s a top down cardigan and I had knitted right to the part where you separate sleeves and body and realised I only had one sleeve. Hum, so everything was frogged and started all over again. The pattern is clear and easy to follow, except for the cable chart: the way it’s charted, you don’t know which way the cables are crossing so for begginners it could be a little hard to understand. Other than that, it’s quick and easy. This is so lovely! I love the way you did the button band. Well done!